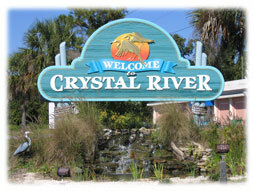 Crystal River Florida is a vibrant and growing small city on the gulf coast of Citrus County. Names after the Crystal River that flows through it, much of Crystal River revolves around the water. It is impossible to think about Crystal River without thinking about Manatees. Crystal River is home to the largest manatee population in the world. People flock from all around the globe to visit little Crystal River and experience a once in a life time opportunity to swim with the manatees. The West Indian manatees are attracted by the relatively warm spring fed waters of the Crystal River which stay around 72 degrees all year. These gentle giants of the sea, once mistaken as mermaids by early explorers and sailors, are making a comeback thanks to the efforts of local conservationists and organizations. The spring fed Crystal River flows into Kings Bay and then on into the Gulf of Mexico. Kings Bay is dotted with many dive shops and boat rentals offering manatee tours. 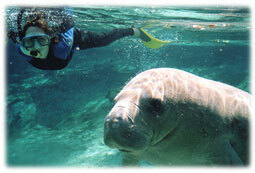 You can rent wet suits and snorkel gear as well as a boat or go on a guided manatee tour almost year round now. 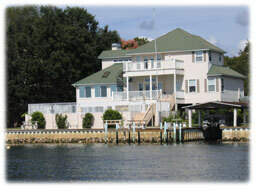 The waterfront property in Crystal River is also very popular. Many waterfront homes and waterfront communities in Crystal River offer spectacular seaside estates complete with boat dock and lifts. One particular waterfront community in Crystal River is located along Kings Bay Drive and boast some of the most desirable property in Citrus County. The waterfront homes and lots in Crystal River are still relatively affordable compared to other more developed waterfront areas in Florida, making it a great investment. Boating and fishing are a large part of life in Crystal River, there is a public boat ramp right in town offering easy access to Kings Bay and the Gulf of Mexico. 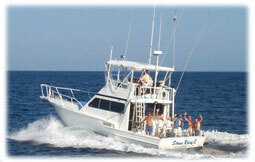 Saltwater fishing in the gulf is exciting and rewarding. 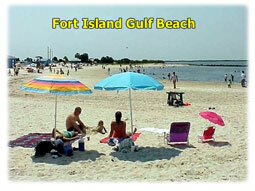 The gulf always offers up fresh seafood and the many local restaurants and fish markets have it available as well. 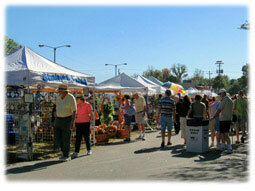 Crystal River is also home to many festivals and holiday events, fun for the whole family. 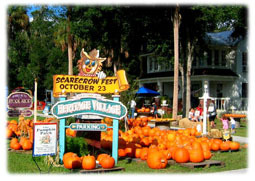 The Manatee Festival, the Scarecrow Festival, the Stone Crab Jam, the Christmas Parade, the Nature Coast Civil War Reenactment, the Oktoberfest, Fourth of July Fireworks, and the Country Rocks the Canyon Concert are just a few. 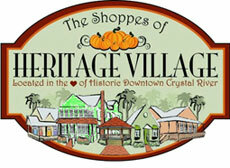 There is also a historic side to Crystal River, represented by Heritage Village. A quaint section of town, where many of the original buildings and homes from downtown Crystal River still stand. Collectively they are the Shoppes of Heritage Village, offering casual and fine dining, unique gift shops, antiques, tea bars, and water sports shops. Crystal River also offers a large shopping mall, a small airport, several hotel and motels, the Plantation Inn Golf Resort & Spa, and Fort Island Gulf Beach as well as many diverse residential communities.